Ján Sarkocy said he was posted to Britain as a diplomat under a false identity in the 1980s when he hired the MP as an “asset” codenamed COB. According to the former spy, Soviet-backed Czechoslovakia’s Communist secret service Statni Bezpecnost (StB) regularly received information from the Labour figure, who documents show met with Mr Sarkocy on several occasions between 1986 and 1987. 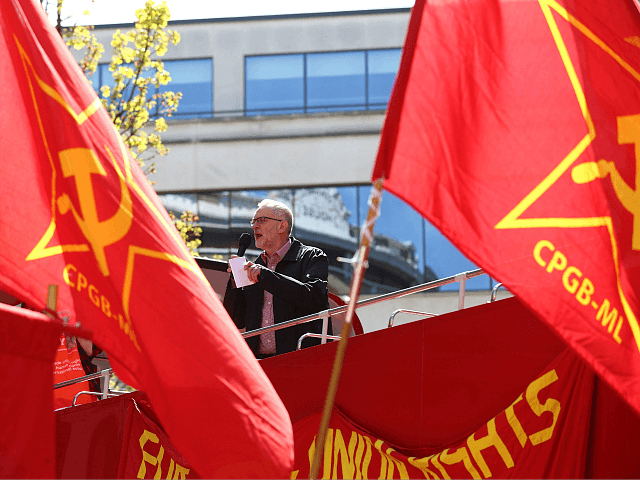 Secret files seen by The Sun allege that Mr Corbyn was put on a list of StB sources in 1986, and that he handed over material relating to a government crackdown on Soviet spies. The documents also noted the socialist MP was “negative towards USA, as well as the current politics of the Conservative Government”, and had a “positive” attitude towards Eastern Bloc countries. After it emerged the Labour leader had met with Mr Sarkocy three times — including twice hosting him at the House of Commons — Mr Corbyn denied having had any knowledge that the Communist agent, who was operating in Britain under the name Lieutenant Jan Dymic, was a spy. While Mr Corbyn claimed in a statement issued this week simply to have met a Czech diplomat “for a cup of tea in the House of Commons”, the Slovak national alleged that after first meeting in “intellectual circles” the two had met on many more occasions than is documented in official records. “It’s not important what you can find in official documents. Don’t forget, a lot of them were destroyed,” he said. Why has Corbyn been approached by so many groups or regimes that wish to do Britain and her people harm? Officials from the Labour party pointed to the response to the allegations from Svetlana Ptáčníková, who heads the Czech Security Forces Archive responsible for safeguarding documents relating to the StB. The archive director stated that Corbyn would not have known that Sarkocy was a spy, and that the MP was not a collaborator, according to the documents, or else his records would have been filed in a different category. Breitbart London has previously reported how an unnamed former Special Branch officer disclosed that Mr Corbyn was monitored for twenty years by undercover security officers in the United Kingdom, who deemed the MP a “subversive” and feared he was engaged in activities intended to“undermine or overthrow parliamentary democracy” — likely as a result of his sympathy for groups like the terrorist Provisional Irish Republican Army (IRA).